“Being part of the the University of Plymouth family, has really kept me focused, dedicated and devoted. 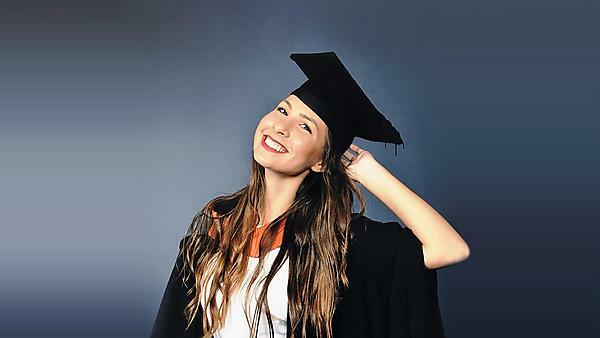 With the support and guidance of my lecturers, I graduated with a First class honours degree, proving that the “language barrier” was never a barrier!" Since I completed my studies, I moved to Manchester to continue my studies at a postgraduate level in an attempt to explore my horizons and gain as much knowledge as possible. The MSc allows me to interact with other healthcare professionals of various different professions such as orthopaedic surgeons, doctors and physiotherapists which helps me develop a holistic approach when treating each patient. My dream was always to become an autonomous practitioner who treats each patient with respect and compassion. I truly believe that in order to achieve this, you have to find and study something that you adore, which in my case is podiatry. An MSc requires tremendous devotion and dedication, along with hard work and sleepless nights. The MSc does not change my career path, it only develops my thinking, my personality and clinical experience. I am really close to my family and as an international student, living in a different country, trying to get used to the weather, the language, the accent, the new house in a new city, was very hard. Especially in the first year. However, it depends how dedicated you are and how willing you are to sacrifice those for what you really want to become. 80% of the population will experience a foot problem at some point in their life, and I am happy that I can contribute one way or another. This is the most rewarding part of my profession, you are actually making a difference to people’s lives! If I could have done something differently I would have liked to be more involved with the activities of the University. For example becoming a student ambassador or taking part in half marathon days. Podiatry is one of the most rewarding healthcare professions, and I feel proud to be part of this team. My advice would be to follow your dream, nothing is impossible! Aim high! Being part of the University of Plymouth family has really kept me focused, dedicated and devoted. With the support and guidance of my lecturers, I graduated with a First class honours degree, proving that the “language barrier” was never a barrier! That would be the day of graduation as the University of Plymouth organised such a remarkable event at Plymouth Hoe, for us to celebrate our special day with friends and family. That was the last day of our three-year journey; it was the last page of an amazing chapter. Yes of course I do, I am proud to be part of this family. Due to the fact that the University is ranked on the top 2% of the world, it also attracts a lot of international students. This mixture of different cultures and nationalities will create strong and lifelong friendships. Not only that, it is one of the liveliest cities, full of colour, life and sunshine! There is nothing to keep you from moving forward.